We've had about half an inch of rain today, with some pretty hard downpours. One woman told me there was an inch of rain that flowed into her garage. 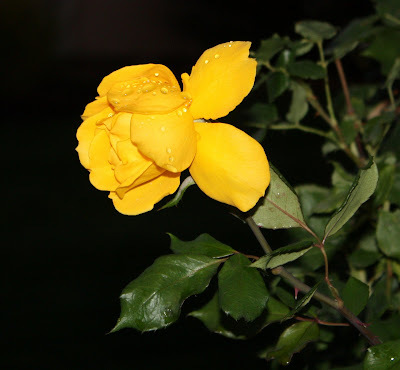 This is a yellow rose bush on the northeast corner of the house.